*v2.0 Requires a new game. - suitable for vanilla games. - does not add any new resources. Upgrade option 2: Old Tunnel Mine Storage Cellar - stores all Foods, total capacity is 20000 by weight. Upgrade option 3: Old Tunnel Mine Mushroom Farm - Grow Mushrooms in the old mine. Employs 1-3 Farmers. 'Unzip'/'Unpack' file, and copy the file "DSTunnelMine.pkm" to your Banished WinData folder. Enable mod in mod list. **DO NOT use with DSTunnelMineCC.pkm ! - they will override and cause game-crash issues. Pick only 1.
code re-write, requires new game. altered some textures and added AO to all models. altered the flag pole to be compatible with the decorative flags available in DS Small Village: Production. alters the Steel Tool & Mushroom resource file to call up small sprite icon, place this mod below others that alter these files. 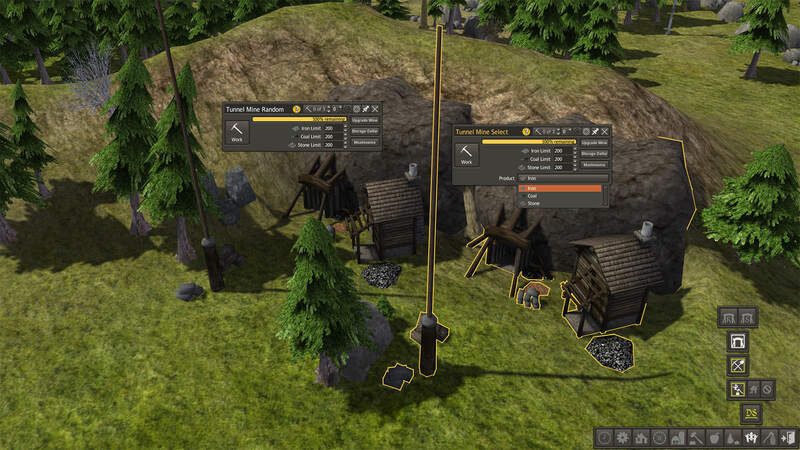 added new options: Random production / or Select production at mine. - Further Production of Iron Ore, Coal & Stone. - Storage Cellar - stores Food only, 20000 capacity by weight. - Mushroom Farm - Farmers Grow and Harvest Mushrooms all year/all weather. -code re-write, requires new game. -altered some textures and added AO to all models. -altered the flag pole to be compatible with the decorative flags available in DS Small Village: Production. -alters the Steel Tool & Mushroom resource file to call up small sprite icon, place this mod below others that alter these files. 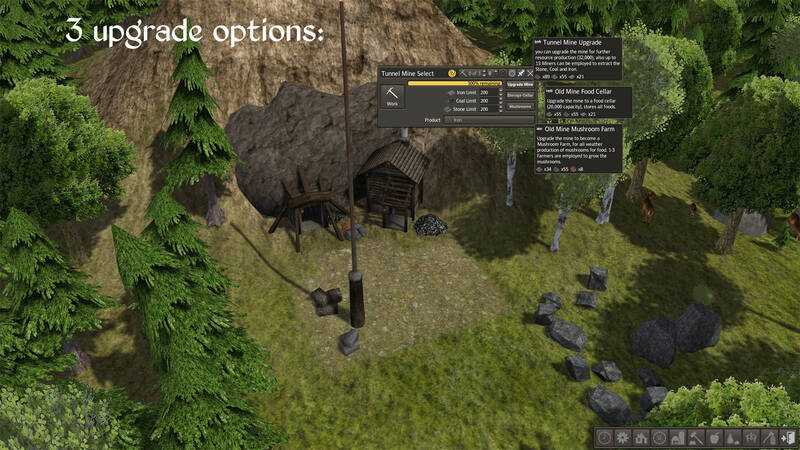 -added new options: Random production / or Select production at mine. -- -Further Production of Iron Ore, Coal & Stone. -- -Storage Cellar - stores Food only, 20000 capacity by weight. -- -Mushroom Farm - Farmers Grow and Harvest Mushrooms all year/all weather.